A few years ago I thought it would be nice to own a BMW with greater practicality. 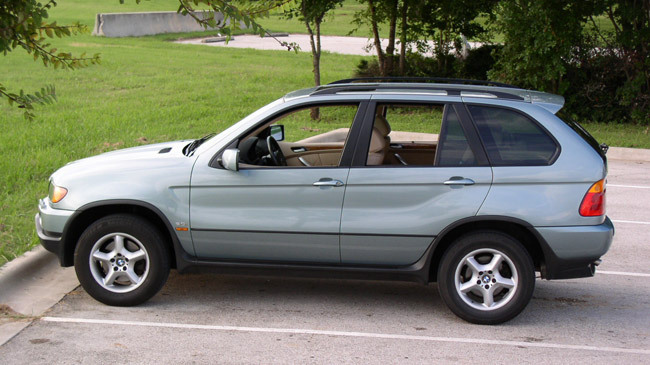 So in February of 2007, I bought a 2002 X5 3.0 in grey/green with sand leather interior. This was the newest BMW I've ever owned and, represented an experimental shift in my thinking. I never saw myself as an SUV guy but was willing to make an exception with an X5. 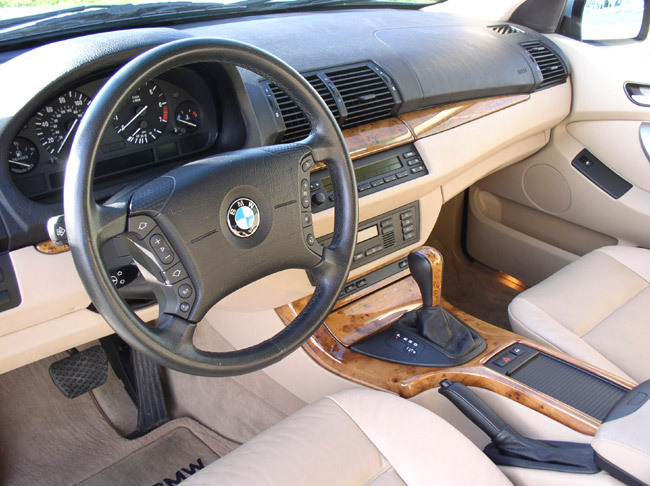 Still today, I regard the first generation X5 (the E53 chassis, 2000-2006) as one of BMW's finest design efforts both in terms of exterior appeal and interior layout. The interior especially gets my vote for the best combination of form and function - absolutely beautiful. Overall, in my view it's the best looking SUV on the road. Much to my disappointment however, I discovered the X5 also has one of the harshest riding suspensions of any car. Even in stock form without the sport package, I was surprised at the jolting ride and chest rumbling vibrations felt during daily driving. Being BMW's first foray into the SUV market, I very much suspect their engineers were concerned with rollover accidents and therefore chose a very stiff stock suspension. In the end I just couldn't live with the ride quality and, combined with the realization that I'm really more inclined to sports cars, I sold my X5 four months later. In the spring of '07 I took this car on a memorable cross-country trip from Austin, Texas to Wichita, Kansas and on to Detroit, Michigan via Chicago, Illinios. I took a different and more scenic route on the return thru St Louis, Branson, and the Ozark mountains. Power Windows – new parts for driver’s window (write-up). Door Panels – all four panels needed new retainer clips. Climate Control Buttons – new caps to replace cracked or missing buttons. Instrument Cluster – new cluster installed by BMW to address pixel failure issue. Lift Gate Rattle – elusive adjusments needed to quell rattle.